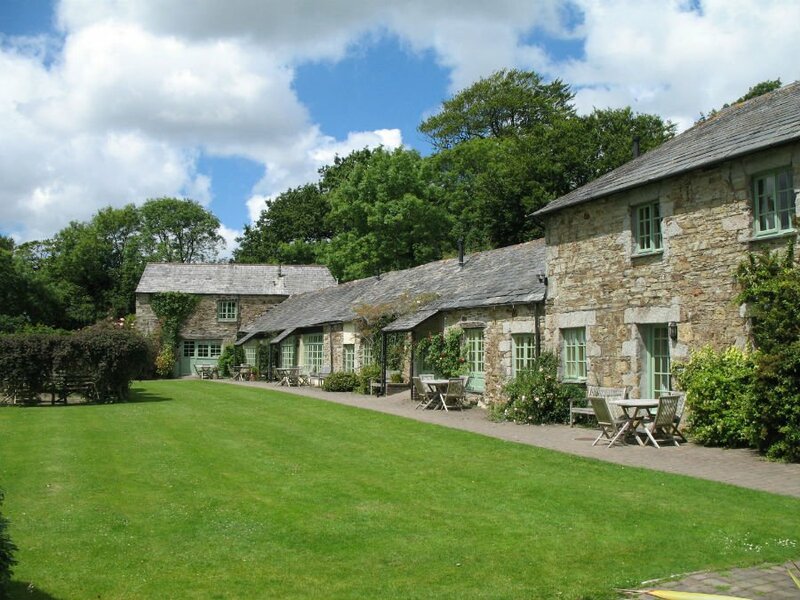 Glynn Barton have 8 delightful baby and toddler friendly holiday cottages in a forest in the heart of Cornwall. Family run by James, Pippa, Freddie and Max, Glynn Barton specialises in offering holidays where the whole family can relax – parents included! Toddlers will love the indoor swimming pool, toddler ride on park, playbarn, daily animal feeding and egg collecting – and parents can recharge their batteries by taking a dip in the hot tub, booking a soothing massage or simply using the Babysitting service so they can go out and enjoy one of Cornwall’s famous restaurants. Glynn Barton gets fantastic reviews from families who have visited with young children, so why not check them out for your next holiday in Cornwall. The 8 cosy cottages at Glynn Barton are all rated 4/5* gold by Visit England. They offer a perfect home from home where the whole family can relax and create lots of happy memories. A raft of baby and toddler equipment is available to borrow. The Bull Run cottage is a real favourite for families with babies and toddlers as it is all on one floor. This light, airy cottage retains many of its original features with high beamed ceilings, a sunny master bedroom with an elegant double bed. The second bedroom has twin beds and a skylight window which is perfect for watching the stars at night! Reasons Why Babies & Toddlers Will Love Glynn Barton Cottages! Taking a dip in the indoor heated swimming pool. Spending a rainy afternoon baking using the Little Bakers Box which guests can borrow. Exploring the indoor soft play barn and play room packed full of toys, a wendy house, games, books and videos. Taking a tractor or car out for a spin in the toddler ride on area. Playing pirates in the pirate ship sand pit, or knights in the pretend fort. Letting off steam in the outdoor play area with a mini climbing frame and slide. Hand feeding all the furry and feathered animals which live at Glynn Barton. Toddlers will love meeting Shane and Merv, the resident wallabies, Sebastian and Sweep the donkeys or Bert and Ernie, the fluffy alpacas. Cooking up a storm in the mud kitchen. Getting stuck into den building or seeing what is at home in the Bug Hotel. The beauty of Glynn Barton is that there is loads to do onsite, as well as some fab days out in the local area. There are loads of ideas on the Glynn Barton website for dry days out and also ideas about things to do when its raining! Hunting for Gruffalo in Cardinham Woods – there is a lovely child friendly café there too! The Eden Project is a must – and it’s just around the corner from Glynn Barton. Visit Lanhydrock House, the Lost Gardens of Heligan and ride the Bodmin to Wentford steam train. There is a fab balance bike trail at Lanhydrock! Head down to Fowey for a stroll around the shops, call in at the aquarium and take the ferry to Mevagissey where you can often see dolphins. Cycle the camel trail from Wadebridge to Padstow and finish up at Rick Stein’s Fish and Chip shop. Don’t miss a trip to Sams On The Beach in Polkerris – this is a beautiful beach side restaurant with great food and good atmosphere! Have a day at the beach. Daymar Bay has lots of rock pool and other great beaches near to Glynn Barton include Rock, Polzeath, Polkerris and Porthluney Cove at Caerhays Castle on the south coast.